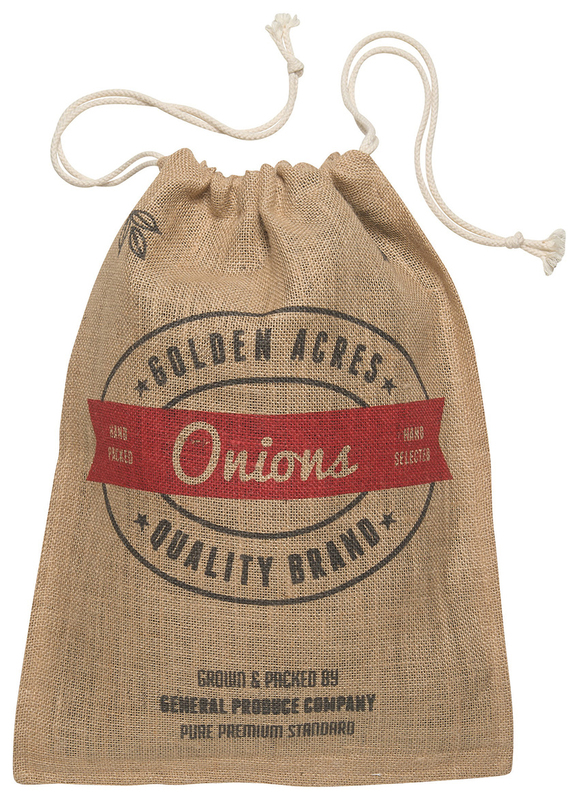 Produce stays comfortable in customized burlap storage. The sacks have removable cotton lining, cinch shut and have a side tab for easy hanging. The wall hanger features reinforced pockets and a strong rope that carries the load easily.